As one of the most popular media players of all time, Kodi has amassed tens of millions of users. 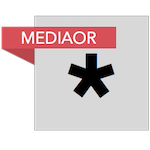 While completely legal in its own right, the open source platform is often augmented with third-party addons that regularly provide access to huge amounts of infringing content. This has attracted the negative attention of copyright holders who are keen to prevent unlicensed content being exploited by the masses. Since last year, the Alliance for Creativity and Entertainment (ACE) has been at the forefront of anti-piracy enforcement against such addons. This huge global coalition, made up of 30 of the world’s most powerful entertainment companies, have been knocking on doors (physically in many cases) with letters that order addon developers, addon repositories, and build developers, to cease their activities or face legal consequences. This week, ACE claimed yet another scalp. Team Illuminati advertised itself as a great source for the “very best addons” and “stunning” Kodi builds (pre-configured Kodi installers), all available from its own repository. The group built up a decent following but with hundreds of posts on its Twitter account detailing efforts to bring infringing content including movies, TV shows, plus live and recorded sports to the masses, it probably isn’t a surprise they attracted the negative attention of ACE. Yesterday, in a tweet to the group’s followers, Team Illuminati announced its demise after receiving a visit from the world’s most powerful anti-piracy coalition. “Sorry guys our entire team got hit with ACE letters today so we’re leaving twitter, this group closes tomorrow AM thanks for your support all,” Illuminati wrote. While it’s not completely unheard of, it is relatively unusual for Kodi addon developers and repositories to announce that they’ve had a visit from ACE. As recently highlighted, those entering into settlement agreements with ACE are required not to mention they’ve had any contact whatsoever. It’s not clear whether Illuminati intend to simply cease-and-desist, as others in a similar position have done so previously, or whether its members will eventually sign the ACE settlement agreeement. TF has seen copies of previous agreement letters which indicate that cooperation will be required moving forward, including providing information on others closely connected with the addon, build, repository, or other service. For now, however, it seems clear that Team Illuminati have thrown in the towel. Visitors to their repository URL at repo.theunjudged.xyz are simply greeted with a pentagon-shaped ‘Illuminati’ logo, rather than the addons (including the recent ‘Underdog’ addon shown below) they’ve grown accustomed to. Team illuminati is proud to announce, "The Underdog" is now live in the repo. Currently, Android APK (installation files) are accessible from another URL but quite how long these will remain available is yet to be seen. 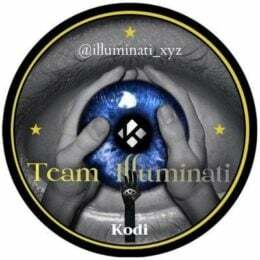 The takedown of Team Illuminati is the latest in a long line of efforts by ACE to stem the tide of allegedly-infringing Kodi addons. Earlier this month, players known as Blamo and UrbanKingz exited under similar circumstances with several other individuals and groups (1,2,3,4) meeting with a similar fate over the past year.